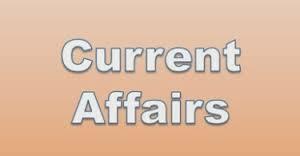 current affairs march 2nd week 2015, current affairs 2015, september 4th week current affairs questions, march 2nd week current affairs news, english current affairs march 2nd week 2015, march 2nd week 2015 india current affairs, manabadi march 2nd week current affairs. The New Zealand’s Indigenous tribe has got a good news. 150 years later, the tribe Ngai Tuhoe in New Zealand is getting a new start. The government has apologized for its past atrocities, handed over 170 million New Zealand dollars ($128 million) and agreed the tribe should manage a sprawling, rugged national park it calls home. Last year’s settlement is one of dozens the government has signed with Maori tribes in a comprehensive, multi-billion-dollar process described in a U.N. report as imperfect but nevertheless important. The payouts have transformed some of the tribes into major economic players in a nation where Maori make up 15 per cent of the country’s 4.5 million people. They have also contributed to a broader cultural renaissance and improved prospects for Maori. Tamiti Kruger, who led the negotiations for the Tuhoe tribe, or “iwi,” said the settlement provoked great emotion, especially for older tribal members. The settlements are the result of legal claims brought by tribes against the government for breaches of the nation’s founding document, the Treaty of Waitangi. The 1840 agreement effectively handed Britain sovereignty of New Zealand while guaranteeing Maori certain rights over traditional land and fisheries. Versions in Maori and English stated different things, and the treaty’s implications, including whether Maori ever willingly ceded sovereignty, continue to be debated. Soon after the treaty was signed, conflicts between Maori and white settlers over who owned land escalated into a war that killed hundreds of Maori warriors and British troops. The government began settling claims a quarter century ago, apologizing for its past actions. Some whites argued the nation would go broke, and some Maori said it wasn’t fair the government, a party to the negotiations, also got to dictate the terms, something the U.N. report cited as a flaw. At least 15 people were killed and over 80 others injured on 15th March when Taliban suicide bombers attacked two packed churches during the mass in Pakistan`s biggest Christian colony in Lahore, sparking mob fury in which two suspected militants were burned to death. In one of the worst attacks on the minority community in recent times, two attackers blew themselves up at the gates of Roman Catholic Church and Christ Church in Youhanabad area of Lahore, the capital of Punjab province, causing stampede as panicked worshipers ran to save their lives. The attacks later triggered mob violence in which two suspected militants were lynched and then set ablaze, resulting in their deaths. The attacks were claimed by Tehrik-i-Taliban Pakistan`s splinter group Jamaat-ul-Ahrar. The same group had claimed the responsibility of a suicide attack on the Wagah border in September last year in which 60 people were killed. Relief supplies began arriving in cyclone-devastated Vanuatu on 15th March as the Pacific nation declared a state of emergency amid reports entire villages were “blown away” when a monster storm swept through. The official death toll in the capital Port Vila stood at six, although aid workers said this was likely just a fraction of the fatalities nationwide. Communications were still down across most of the archipelago’s 80 islands, although the airport in Port Vila reopened with limited facilities, allowing much-needed aid in. The U.N. had unconfirmed reports that the cyclone had killed 44 people in one province alone and Oxfam said the destruction in Port Vila was massive, with 90 per cent of homes damaged. More than half of the South Pacific island nation Vanuatu`s population has been affected by Cyclone Pam, the UN said on 20th March. Severe Tropical Cyclone Pam barreled into the archipelago a week ago, bringing sustained winds of some 250 kilometers (155 miles) per hour which devastated entire communities. The latest assessment found damage to food crops was extensive. In Maldives, former President Mohammed Nasheed has been sentenced to 13 years in prison after he was found guilty of ordering the arrest of a judge while in office. Nasheed was cleared of the charges last month, but was re-arrested and charged under Anti-Terrorism laws. The ruling came four days after Nasheed`s lawyers quit in protest against what they called a biased trial aimed at destroying his political career. The jail term will effectively prevent Nasheed running for president at the 2018 elections. The volume of the multi-billion dollar world arms trade rose 16 per cent during the period 2010 to 2014 over the previous five years, the Stockholm International Peace Research Institute added in its annual report. The figures show that the United States has taken a firm lead with 31 per cent of global exports of conventional weapons, SIPRI said, with Russia in second place at 27 per cent. The next three arms exporters are far behind with about five per cent each, and China is only slightly ahead of fourth-ranked Germany and fifth-ranked France. European powers and Iran made little progress towards reaching an agreement to end the standoff over Tehran`s nuclear program as an end of March deadline closes in. The talks were aimed at narrowing gaps in the positions between Iran and the world powers, as part of a 15 month negotiating process that could see Iran freeze its nuclear program for at least a decade in exchange for the gradual lifting of international sanctions. Iran says the program is aimed at generating electricity and at medical research, but many in the West fear the Islamic republic is trying to covertly build atomic weapons. The world powers and Iran have set an end of March deadline to reach a framework accord on the way ahead.